S/Sgt. Algy Augunas of Z-8, "Mission to Albuquerque"
"Yet in spite of all the things I miss,--I'm glad I'm in the Army today. To help my country in my own small way." As radio operator, Algy was awarded Medals of Commendation for his stead fast guidance while escorting damaged or crippled planes home to Saipan, or if they had to ditch after bombing missions over Japan relaying rescue information. Algy was born and raised in Bay Shore, New York, on Long Island. After high school, Algy continued his playing career at High Point College in North Carolina and the University of South Carolina. He also attended Babe Ruth’s Baseball School in Florida, before signing a professional contract with the Gloversville, New York Club. Algy went to work for the Republic Aviation Corp., where he continued to play baseball on a traveling team. The Japanese attack on Pearl Harbor put his baseball career on hold indefinitely. Like millions of other young men, he wanted to get into the fight. He enlisted in the Army on 1 February 1943, and he went off to war volunteering for the Air Corp.
Algy accomplished everything asked of him in the Army, and qualified as a radio operator. In the summer of 1944, he joined a B-29 crew that was to be led by A/C Major Robert Fitzgerald. Upon final completion of their training, Algy and the crew left for the Pacific via Sacramento, Hawaii, and Kwajalein, and arrived on Saipan in early November, 1944. This crew would prove to be outstanding. Their airplane garnered the nickname of the “St. Bernard”, due to the number of damaged or crippled B-29's escorted home to Saipan after their bombing missions. Although the loss of any serviceman during WWII was sad, Algy’s loss became doubly tragic for his family. 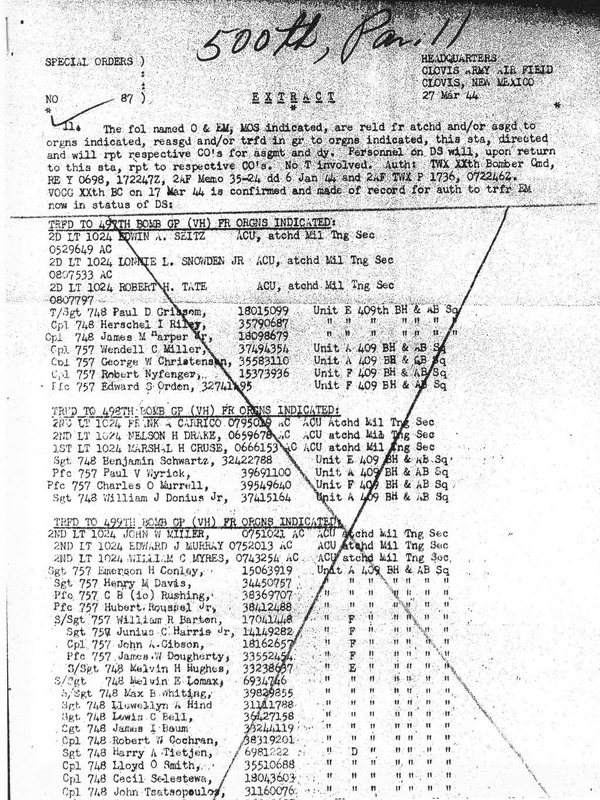 He was initially reported as MIA after his plane was reported missing on 17 March 1945, by the War Department. After the Japanese surrendered, the Augunas family was notified that he was safe and back in American hands. Only later were they informed that he had been held as a POW since the loss of the plane, and had been executed by the Japanese on 18 July 1945. Initial worry turned into relief, then suddenly became excruciatingly painful when they learned of the death of their son. 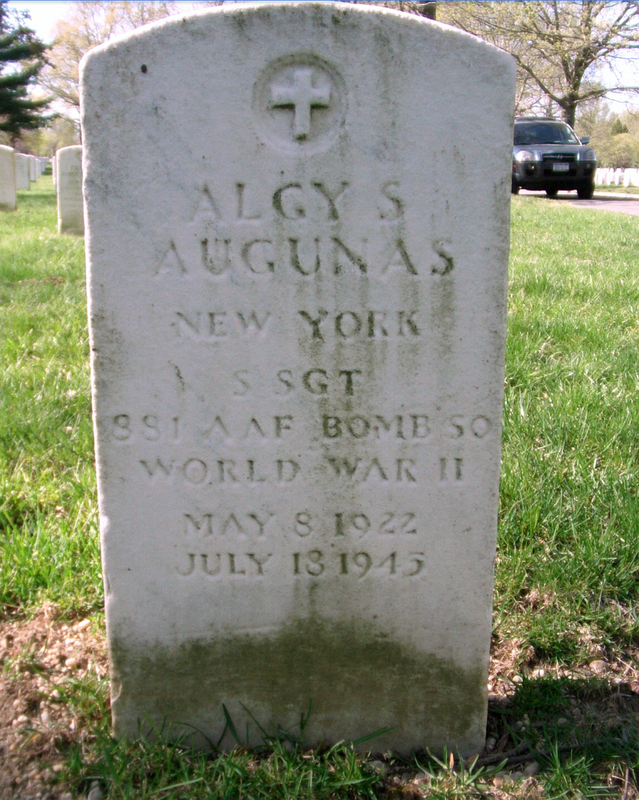 Algy's older brother Lou Augunas, served with distinction in the tank corps in the Pacific during WWII, most notably in the invasion of the Philippine Islands. At wars end, Lou’s unit was being refitted and re-supplied, including receiving new tanks, in preparation for the invasion of Japan. Ironically, the B-29s like those flown by his brother, made the invasion of the Japanese homeland unnecessary, and probably saved Lou’s life. Estimates of American casualties to invade Japan ranged anywhere from 250,000 to 1,000,000 men. Lou entered the Army as a private, and by the time he retired had reached the rank of Lt. Colonel. 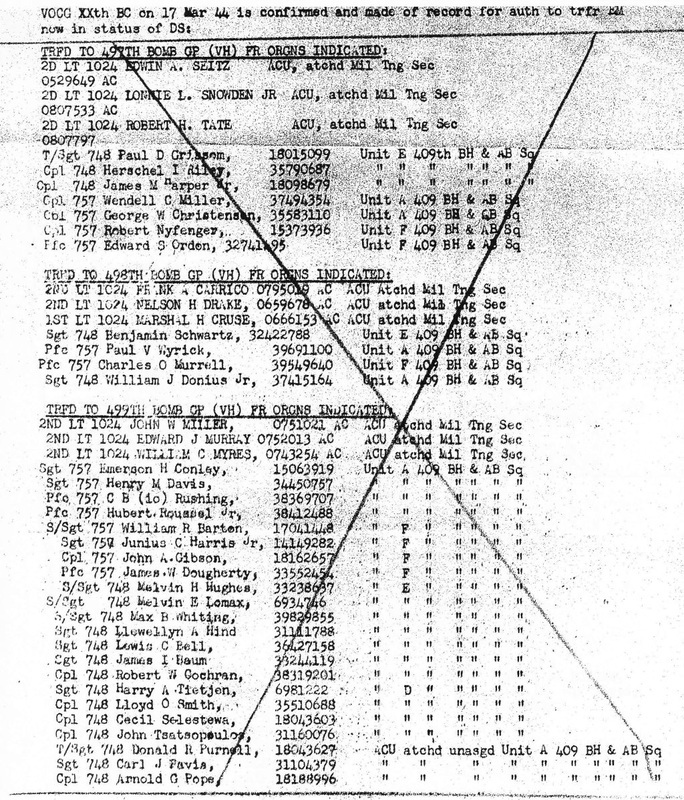 After Lt. Nelson and Algy Augunas were captured on Mt. Futatabi, they were taken by the Kempei Tai to the Chuba Army District HQ located a few hundred feet from Osaka Castle. 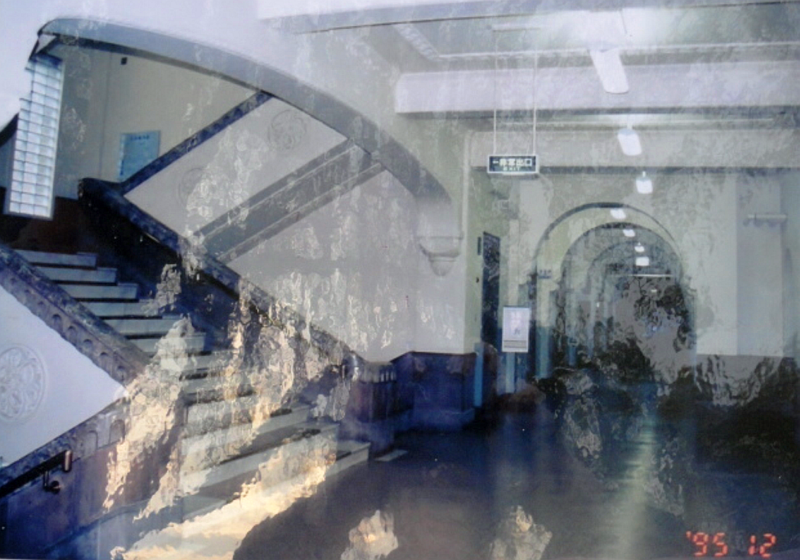 There, they were interrogated and imprisoned until May, 1945. They were then transferred to the Army prison at Ishikiri (now the City of Higashi) which is just east of Osaka. 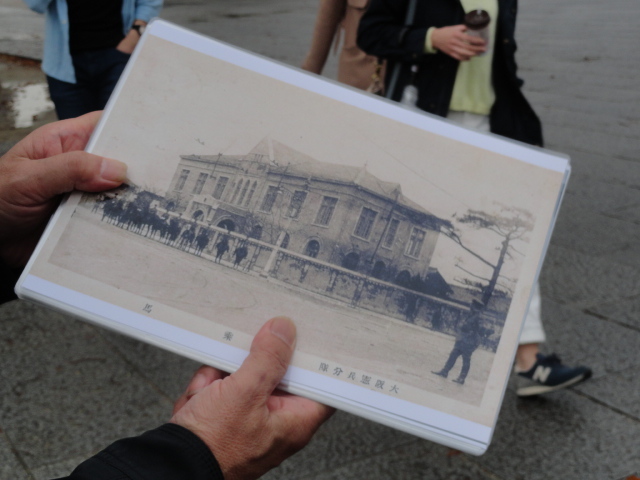 They were returned to the Chuba Army District HQ for a military law trial on July 18, 1945, and charged with the "indiscriminate bombing" of Japan. They were found guilty and sentenced to death as war criminals. 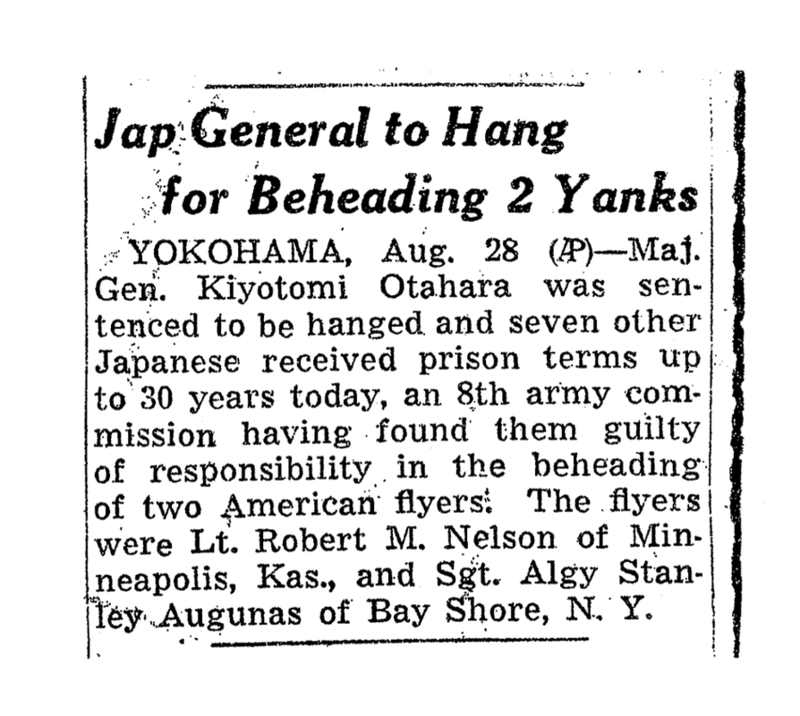 After the guilty verdict, the two airmen were taken to the Yokoyama rifle range and executed in a field. This area is now known as Fukuze-Cho, Iaumi-shi. 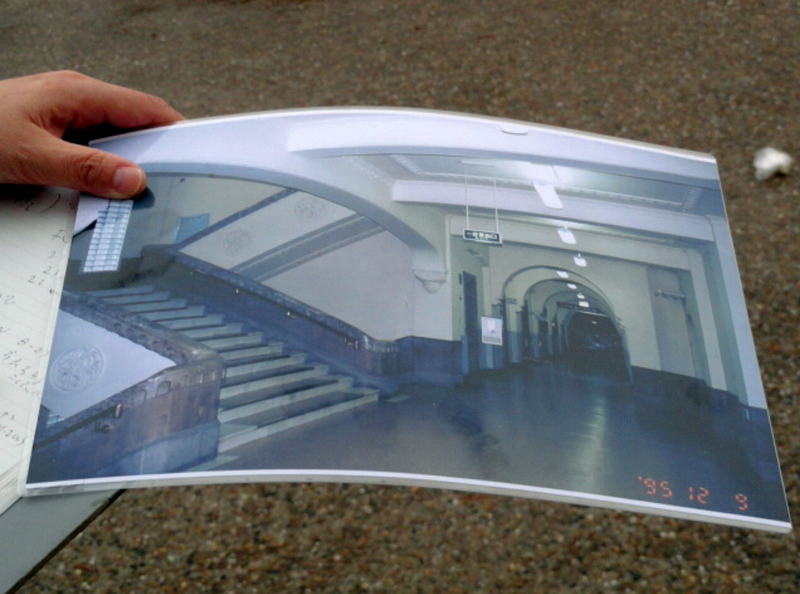 The following three photographs show the interior and exterior of the Chuba Army District HQ building, Osaka. 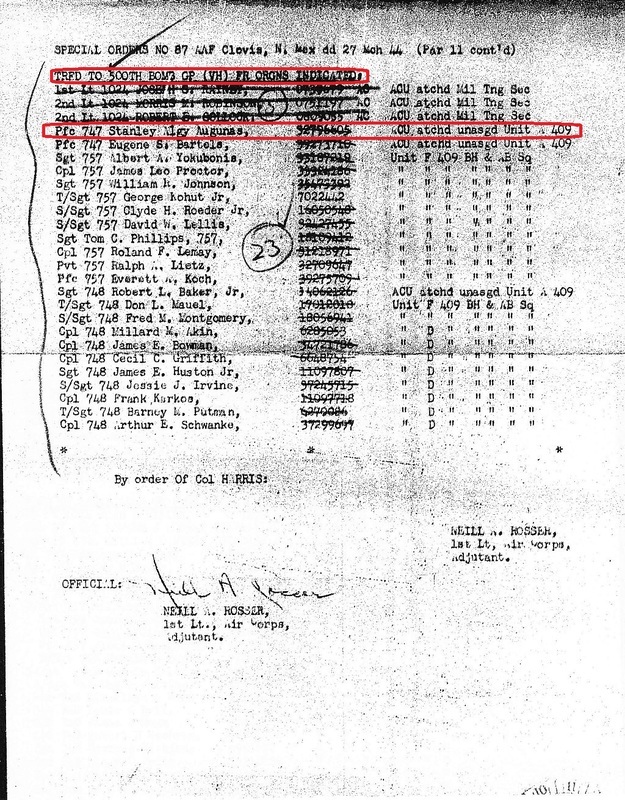 On the 3rd page, Algy Augunas is being reassigned to the 500th Bomb Group. He will join them at Walker Field, Kansas, and become the radio operator on the " Mission to Albuquerque." Japanese Police HQ across from Osaka Castle. 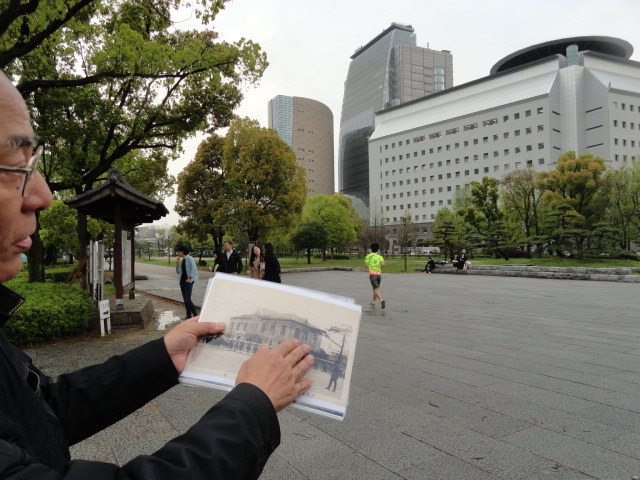 Toru Fukubayashi showing a WWII photograph of the old Osaka Police HQ building which stood where the large gray building is now. 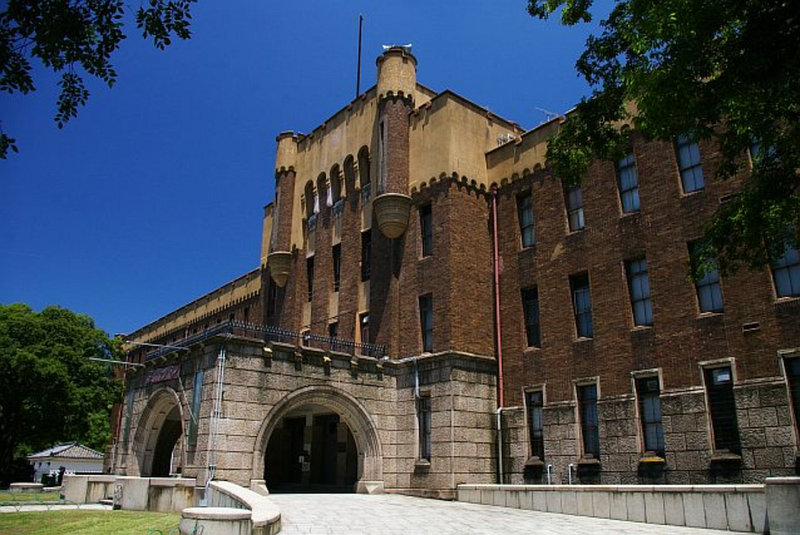 The old Police building was across from Osaka Castle and the KempeiTai HQ where Nelson and Augunas imprisoned, interrogated, and tried for war crimes. The airplane that Z-8 escorted back and Algy received his commendation for. Our Uncle Bob's diary entry included below ..He wrote the diary in a yearly planner.